Tired of seeing your wife or girlfriend buy clothes after clothes online? Anxious that she spends more time sharing screenshots of accessories, tops, and bottoms with you than asking how your day at work was? For men, the problem may not be about how their lovely-cutesy-sweetie-pies are fixated to online shopping – but that the closet is already full! 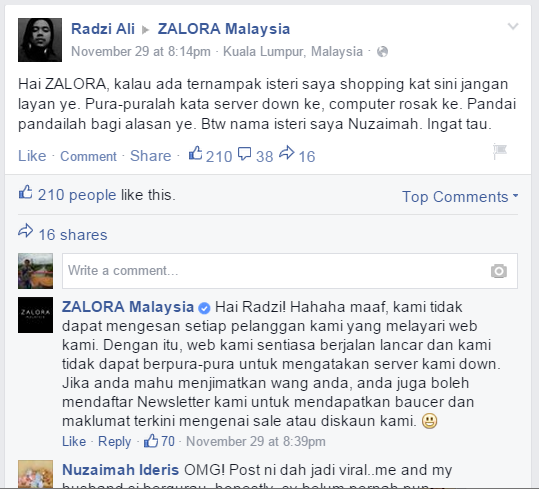 One Malaysian husband decided to up the ante in attempting to fix this virtual fixation by writing to Zalora Malaysia and pleading for them to ban his wife. It first started with him suggesting that the e-commerce platform inform his wife that its web server is down if she visits the site. The original post has went viral with over 200 ‘likes’ as of yesterday, 1st December 2014. 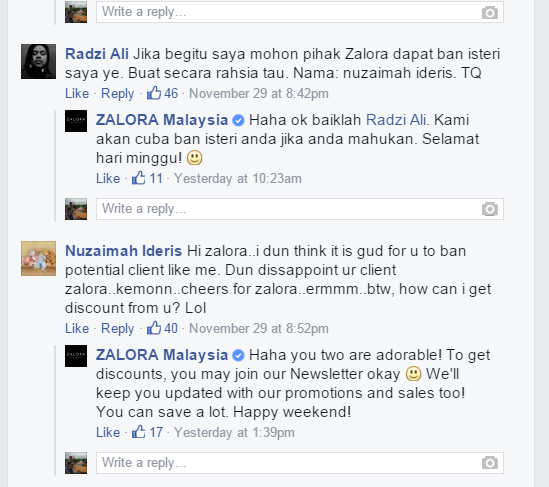 Zalora Malaysia has informed the couple to message them privately via Facebook. It is not known what happened after that. We hope a representative from Zalora Malaysia (or their friends in Singapore) can update us on any development from this story. An adorable couple indeed! 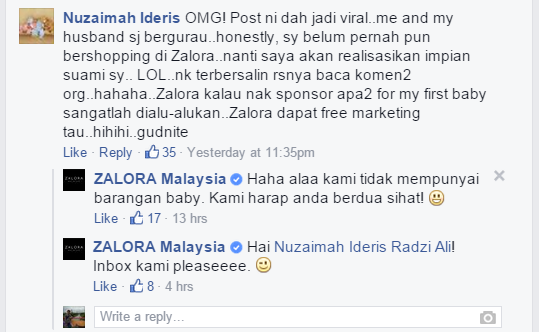 Online Shopping Site Zalora’s Pop-Up Store Brings Click-And-Mortar To Life!